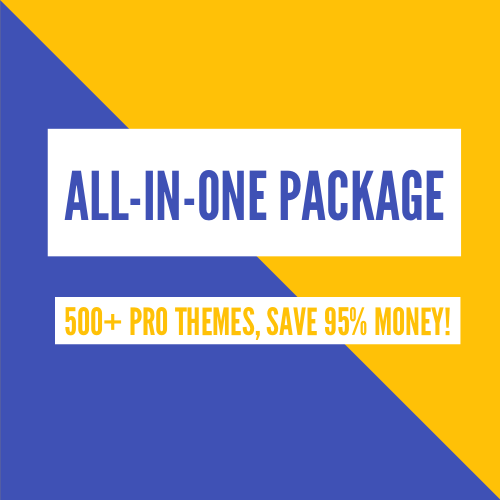 Do you want to dislay recent posts in WordPress? Displaying recent posts helps your users find them easily and helps you keep your visitors stay longer as well as reduce the bounce rate. 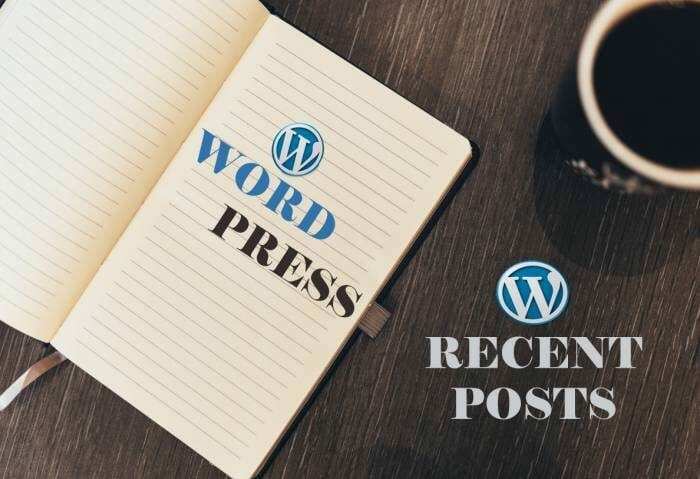 We will show you in detail how to display recent posts in WordPress. Come on, let’s find out. WordPress comes with a built-in default widget to display recent posts in your site’s sidebar or any widget ready area. 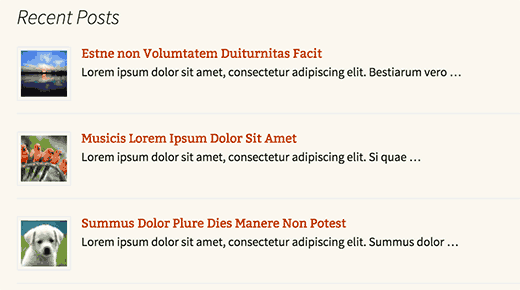 To show your recent posts, you go to Appearance >> Widgets and add Recent Posts widget to a sidebar. However, this built-in widget is quite limited, because it don’t allow you to show thumbnails or excerpts which is often a priority for users. So, if you wanna display thumbnails and excerpts with your recent posts, you can use Recent Posts Widget Extended plugin. 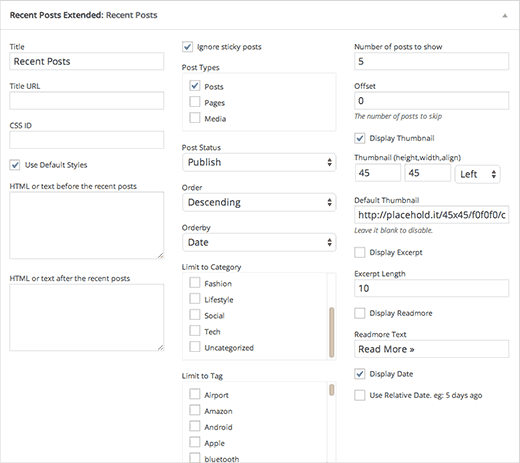 The first thing you need to do is to install and activate the WordPress Recent Posts Widget Extended plugin. After activating, you go to Appearance » Widgets and add Recent Posts Extended widget to a sidebar. Now, you can show thumbnails, excerpts, limit categories and tags, ignore sticky posts, number of posts to show, display thummbnail and much more. After completing the work, be sure to press the Save button to save the settings. Thanks for your reading, and if you have any questions with this blog, please don’t hesitate to let us know by leaving a comment.